Yesterday, my sweet little LacieBug turned three years old! I still have a hard time believing that I have a 3 year old! We planned a very special but still simple birthday celebration for her that began as soon as she woke up! We woke Lacie up right before 8am and got this happy birthday girl face!!! 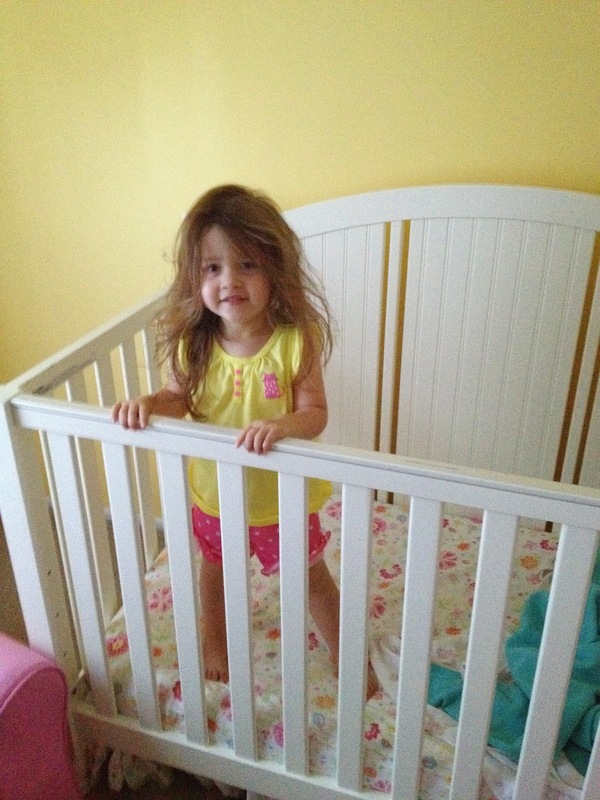 And yes at 3 years old she is still in her crib! Lacie loves her crib and I plan to keep her in there forever and ever as long as I can! 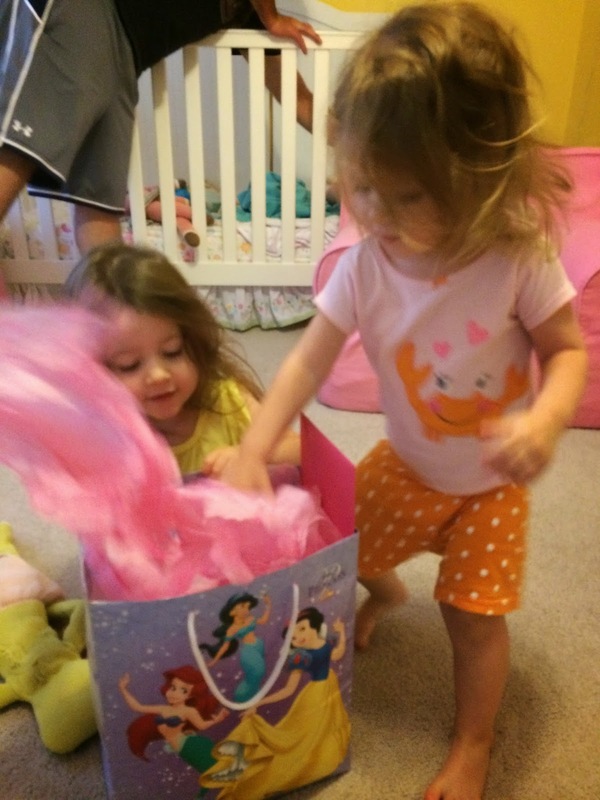 Then there was some gift opening by the birthday girl with an assist from Blakely! 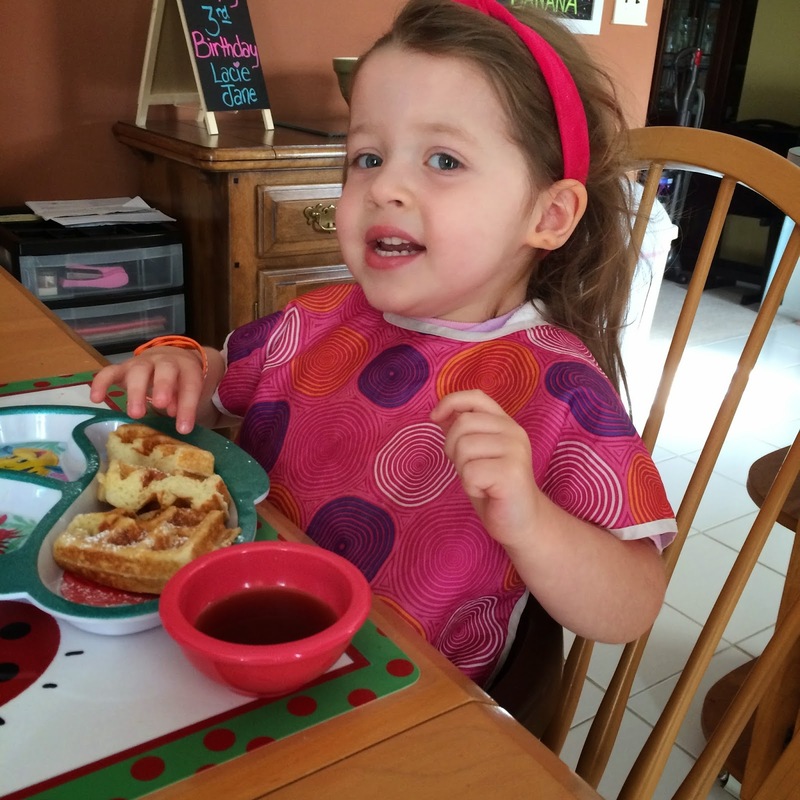 Breakfast was the birthday girl's choice...homemade Belgian Waffles! 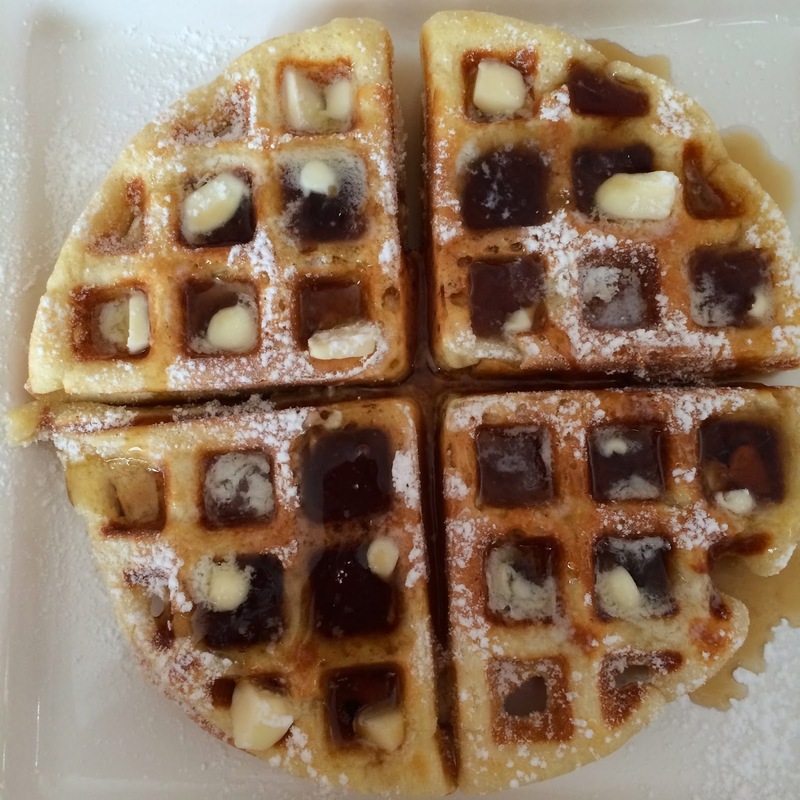 These are the same waffles that I make on Christmas Morning every year! After breakfast it was off to Sesame Place super early in order to beat the crowds! We rode tons of rides! This was my favorite moment! Sisters deciding to hold hands on the carousel! We stayed for about 2 hours before heading home to eat a healthy lunch and take a nice 2 hour nap! After nap, we got dressed in our party clothes! I can't believe how big and grown up my little Lacie is and how fast three years have gone by! 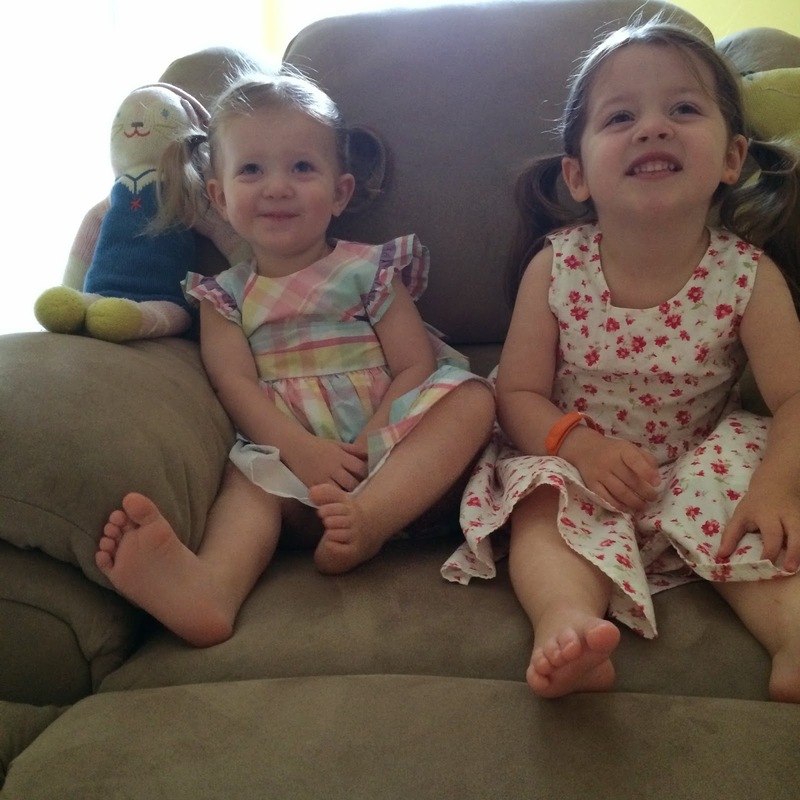 Then I tried to get a nice picture of the girls sitting together. 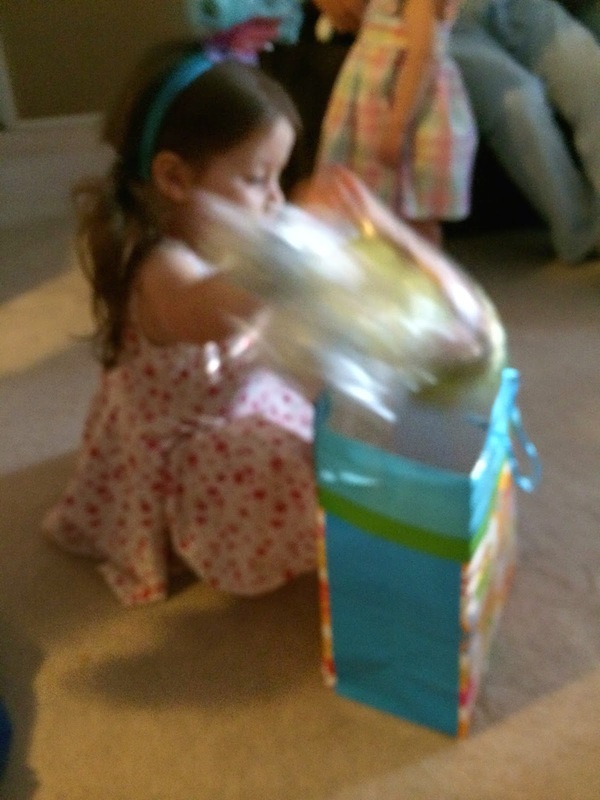 If you have ever tried to photograph a 3 and almost 2 year old you know how it went. This was the best picture I got! But then I captured this sweet moment! These girls are just the best sisters and friends! I am one blessed Mama! After pictures, all 4 Grandparents along with Uncle Matt and Aunt Laura came over to celebrate. 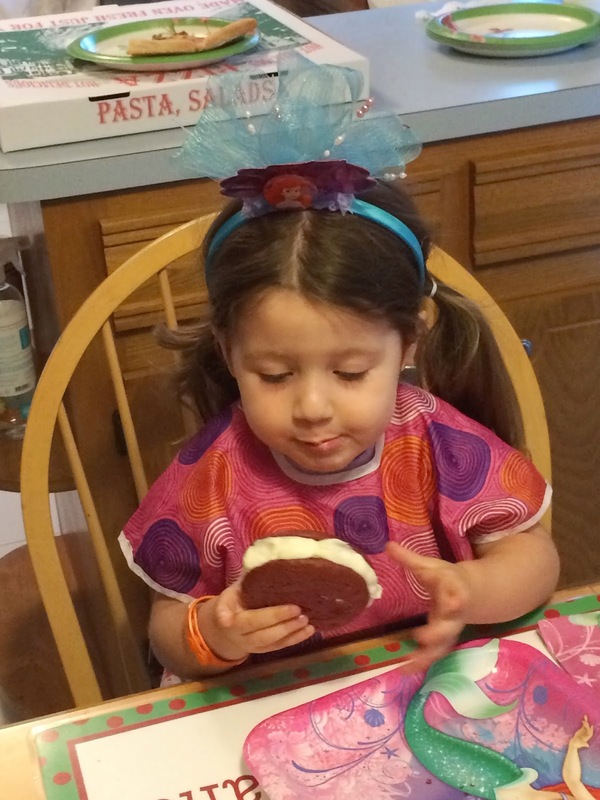 Lacie requested Eggplant Pizza for dinner and Red Velvet Whoopie Pies for dessert. 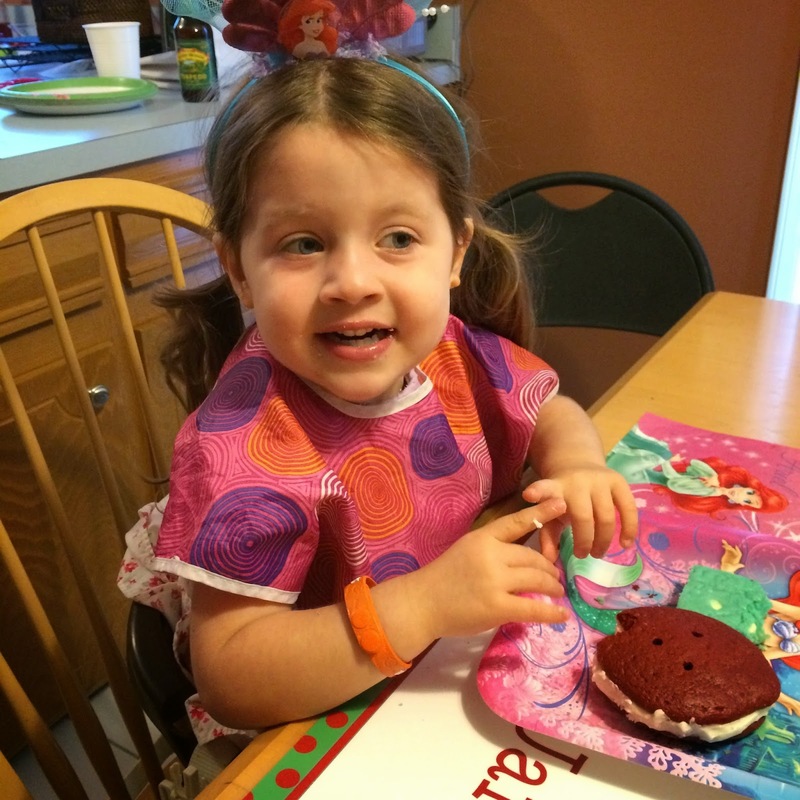 Of course she wanted Little Mermaid plates! She also wanted to wear her Little Mermaid crown! So happy! The red velvet whoopie pie recipe along with the blue cookie recipe will be coming soon! After dinner and singing and dessert, we got down to the business of opening more birthday gifts! Lacie was a very lucky girl and got everything she had been asking for! She super spoiled by everyone who loves her on this special day!